Famed for it’s sheer size this monument is absolutely breathtaking and illuminated by night is a real treat. 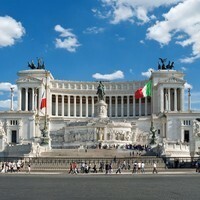 The design although simple in it’s approach is of such immense dimensions that it rules over the Piazza Venezia with great power and dominance. The monument of gigantic proportions was designed by Giuseppe Sacconi between 1885-1911 and dedicated to the first king of Italy, Victor Emanuel. The tomb that dominates the centre stage is in honour of the unknown soldier and you will find the statue guarded night and day by two guards with a flame that is kept continuosly alight. Probably the first thing that somes to mind when one thinks of Rome is the Colosseum and indeed maybe the prime reason for a visit to Rome. It certainly won’t fail your imagination when you come face to face with it, and you will be astounded by the size and power that this structure generates. With a height of nearly 165 feet and 205 yards yards in diameter the Colosseum has a spectators capacity of 50,000 making it needless to say the world’s largest ampitheatre. The most fascinating thing about this building is the history that it holds... the great gladiator duals and animal combats make for bloody stories that guides will only be too happy to tell you! Arch of Constantine. 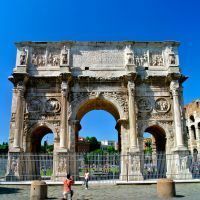 To the side of the Colosseum at just a stones throw away is the Arch of Constantine. A magnificent structure of stone carving commemorating the emperor’s procession after the triumphany vistory in 312 over Massentius. 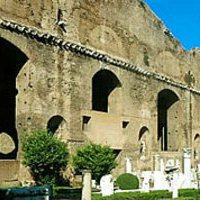 At the foot of the Colosseum begins the large spread of ancient ruins thatwas the Roman Empire. What has been excavated is incredible andthe great preservation of all that has been found enables us today to appreciate and better understand times gone by. It is possible to walk through the ancient forum but the ruins are not particularly well documented and for those wanting a more in depth insight a guide would be recommended. 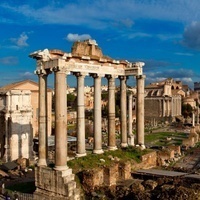 Ruins include the Temple of Concord dating back to 367BC, the Arch of Septimus Severus built in 203 and the Basilica of Emilia and Giulia founded in 179BC. Don’t forget to take a hat, sun block and a bottle of water during the summer months as the forum can be a real heat trap. The list of claims to fame is long and includes among some of it’s very first adventures the grotto at the foot of the hill where Romulus and Remus were suckled by the she-wolf, and consequently the house of Romulus later on in his life. Augustus also lived on the Palatine hill. Later on the hill housed the residential quarter of the Roman ruling classafter which it became the favourite haunt for many emperorshousing during their various rulings including that of Augustus and Tiberius. 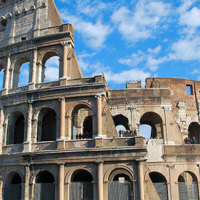 A combined ticket can be bought that allows entrance to both the Colosseum and Palatine Hill. 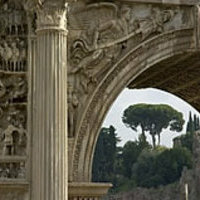 Translated means the arch of peace, this monument can be viewed from a glass pavillion near Piazza Augustus and carved in stone along it’s sides are various figures including the depiction of peace and the Julian Clan. Located above the famous Piazza del Popolo the Pincio is a parkland area from where the viewing bay gives a wonderful view of the roman skyline. Here you will find an impressive promenade that was designed by Valadier as well as the little buildig known as the ‘Casina Valadier’ and now home to a cafè where one can relax and refresh in these tranquil surroundings. Considered the largest baths of Rome they had the possibility to host over 3,000 people at any one time. The baths today also house the National Museum of Rome that can be found in the rooms converted into the Basilica of Santa Maria degli Angeli. 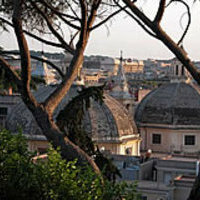 The National museum of Rome boasts the largest collection of ancient artin the world. 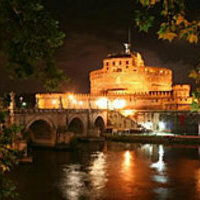 Set by the side of the Tiber river and reached by the impressive bridge ‘Sant Angelo’ the castle today holds a National Museum for those wishing to visit inside. You can see on the top of the castle a bronze statue of the Archangel Michael. It is also believed that there is a secret underground passage linking the Vatican to the castle that could be used by the Pope in case of urgent need. Built in AD217 and exceptionally well preserved, it is possible to walk around these ancient ruins taking in what is still obvious today was a magnificent leisure centre for the public. 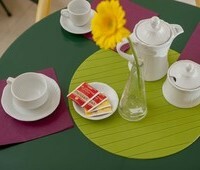 Mosaics can still be witnessed as well as sculptures and marble furnishings. 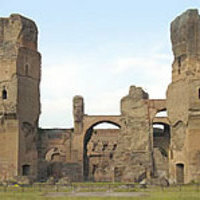 Going to the baths was the first form of entertainment for the Romans and no expenses were spared in creating the luscious Baths of Caracalla.